Rieländer, J. Solignac-Lecomte, H.-B. 2014. Jobs: A tough time to be young in Africa. GREAT Insights, Volume 3, Issue 2. February 2014. Africa’s youth will double from today’s 200 million to 400 million in 2045. Where will they find jobs? Even if we assume that economic growth remains strong, it is not going to do the trick unless it is made both transformative and inclusive. Business-as-usual –dependence on unprocessed commodity exports and external financial flows, slow productivity growth, lasting high levels of rural and urban poverty – can only exacerbate civil tensions and political instability in the context of fragile social and political institutions. African economic transformation policies “2.0” must aim to increase the creation of jobs in existing economic activities, but also promote new, more productive ones. This is a tough time to be young in Africa. Growth is up but good jobs are scarce. Although the growth prospects of the continent are good, from an estimated 4.8% in 2013 to a foreseen 5.3% in 2014, 40 million young people are estimated to be out of work and many more in poor employment (1). Young people globally have been hit particularly hard by the international economic crisis. Unemployment rates of young people are much higher than those of adults in most countries in the world. Youth are often the first to be let go, while competition for entry-level positions grows fiercer with each graduating class that enters the labour market. Young people in Africa are no exception. But their situation is particularly challenging. In some countries, like South Africa, the unemployment rate of young people is as high as 50%. In other countries most young people work, but do not make enough to put food on the table. 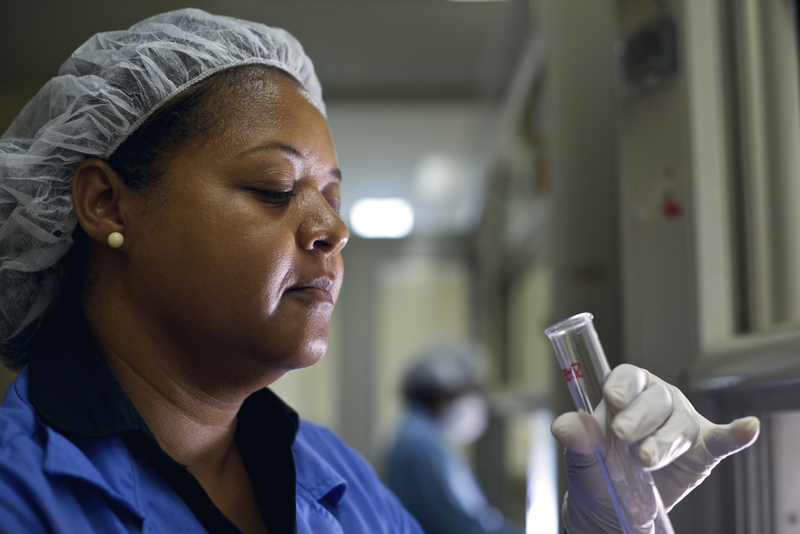 In both cases, young Africans need growth that translates into more and better jobs. And they need job growth to happen fast. Within the next 10 years, 130 million young people will be leaving the education system and looking for jobs. But at current rates, not enough jobs are being created. The African Economic Outlook (2), a report by the African Development Bank, OECD Development Centre, the Economic Commission for Africa (ECA) and UN Development Programme (UNDP), estimates that 53 million of Africa’s 200 million young people between the ages of 15 and 24 are in unstable employment situations, very often linked to working poverty. 40 million young Africans are out of work. Only 18 million of them are looking for a job, however, 22 million have given up looking for one. Working with the Gallup World Poll (3) to collate household data for 37 countries, partners in the African Economic Outlook also find that only a minority of young working Africans have a ‘good’ job. Wage employment in the formal sector concerns only 7% of youth in Low Income Countries (LICs) and 10% in middle-income countries (MICs). Others fall in categories defined by International Labour Organisation (ILO) as ‘vulnerable employment’, including self-employment and unpaid work, e.g. family farming. And while self-employment may not be bad per se, in the overwhelming majority of cases it reflects the lack of alternatives, and implies precarious living conditions and working poverty. This casts a crude light on the continent’s recent growth performance: Africa’s capacity to offer economic and social opportunities to its younger generation has been falling short of its demographic dynamism. Surprisingly, Africa’s poorest countries have less unemployed youth than the better-off countries. As countries grow richer and incomes rise, consumers start flocking to known brands, away from the simple local products that used to provide livelihoods for many locals. With rising incomes, families also have more capacity to support their young job seekers, who can therefore be more selective, rejecting job offers that go unfilled. A trend that leads to higher youth unemployment and potentially broader social costs. Frustrations mount if and when the expected “better job” does not come. Moreover, youth that are not working or studying are a waste of a country’s most precious resource. The global survey conducted by Gallup also showed that young North Africans would rather have a government job rather than one in the private sector. However, a combination of limited public resources and population growth prevent governments from employing a large share of the young. Indeed, the African Economic Outlook estimates for example that Egypt would need to create about 200,000 public sector jobs each year for the coming decade to maintain the current share of the population employed by the public sector. Clearly, governments cannot provide all the jobs young people are expecting. But they can help the private sector create more jobs. Large firms both domestic and multinational are the main providers of jobs that pay good wages. But there are too few of them. They can employ only a small share of young job seekers. Most jobs will have to come from smaller firms and entrepreneurs of which African countries boast uncountable numbers. These are often one-man or one-woman operations, trading in simple goods, providing repair services or simple manufacturing like furniture making. Others are little high-tech outfits and internet companies providing modern services to a fast growing communications industry. Many of these small enterprises are not officially registered but show strong potential and obtain 60-70% return on their capital each year. They face obstacles governments can do something about. First, there is the attitude of governments towards small business. The fate of Tunisian vegetable seller Mohamed Bouazizi is an instructive example of the importance of the government’s attitude towards small business. Early in 2011, he torched himself and contributed to sparking a revolution because government officials had been harassing him daily. Instead of providing him with services and incentives to register his business, government officials had been impounding his equipment and his vegetables, preventing him from growing his business and feeding his family. Second, governments can support social insurance adapted to the needs of small businesses such as Mohamed’s. With the security that insurance affords, a small business owner can invest his earnings into his business instead of having to stack them at home in preparation for sudden costs like health care of family members. Third, many small entrepreneurs in Africa do not have access to the loans that could allow them to grow their business. Although obtaining very small amounts of financing has become easier thanks to microfinance, obtaining medium-sized loans, say US$10,000, is very difficult. Most banks are not interested. They make money more easily with bigger firms. Governments should devise incentives for banks to move closer to small firms. Fourth, better services could do a great deal. For instance, a stable electricity supply would allow many, especially in rural areas, to start small-scale production outfits. 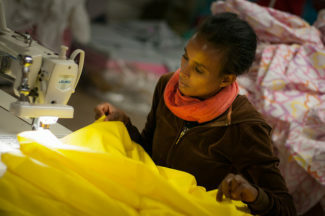 With stable electricity, young people could, for example, start a sewing business. Governments can also strive to make the education young people receive more relevant to what they need to know in the world of work. Many young people in Africa suffer from skills mismatches. They have been to school, even university, but did not obtain the practical skills that employers are seeking. Many firms are looking for young people with technical skills to operate machines and oversee manufacturing processes but cannot find them. At the same time Africa boasts the highest share of students in the humanities and social sciences of any region in the world. Many young people with a university education go unemployed. In South Africa, for example, firms report 600,000 vacancies, while 800,000 young university graduates are unemployed. Most young people in Africa learn a trade from a master craftsman. Many times the skills they acquire are not officially recognised, making it hard for them to build a career. Schools can do a lot to address these shortcomings, especially by linking with the local private sector and providing opportunities to young people to obtain certification for skills they have obtained elsewhere. 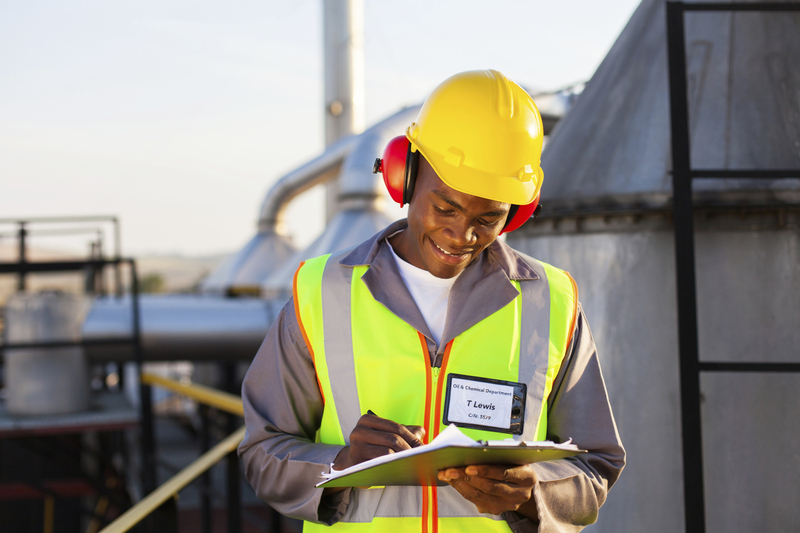 Creating better jobs: what new industrial policy for Africa? (iii) the greatest potential for inclusive growth may actually be found in agriculture and agroindustry: beyond the well-known examples of export sectors such as cashew nuts, cut flowers, etc., the next big thing may well be African local and regional markets, buoyed by steady demographic growth, urbanisation and rising income levels. Big retail companies such as Walmart are setting foot on the continent to serve those African consumers: this is an opportunity for local producers, if they can upgrade their capacity and beat the competition of imports to become their suppliers of choice. The forthcoming African Economic Outlook 2014, to be released at the annual meetings of the African Development Bank in Kigali, Rwanda (19-23 May), aims to provide new insights and document Africa’s good practices in this regard. Jan Rieländer is Economist at the Europe, Middle East and Africa Desk and Henri-Bernard Solignac-Lecomte is Head of Unit, Europe, Middle East & Africa at the Organisation for Economic Co-operation and Development (OECD). 4. This largely borrows from an inspiring talk given by Tilman Altenburg (German Development Institute) at a recent African Economic Outlook experts’ meeting.